Art therapists use the creative process and the issues that surface during art therapy to help their clients increase insight and judgment, cope with stress, work through traumatic experiences, increase cognitive abilities, have better relationships with family and friends, and simply enjoy the life–affirming pleasures of the creative experience. 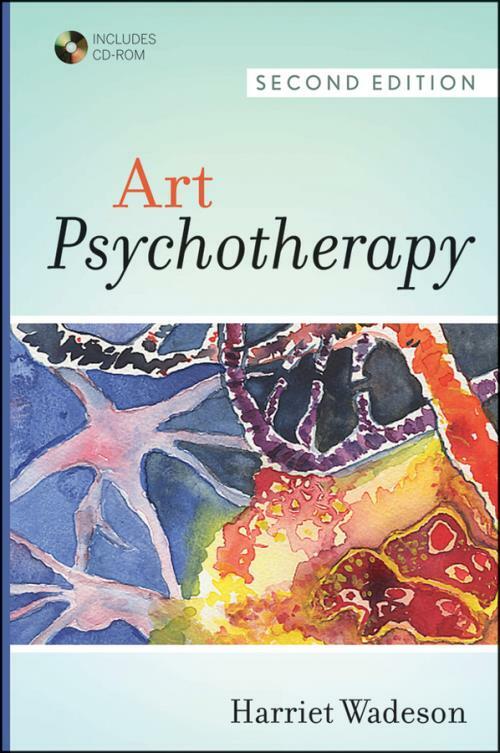 In this highly anticipated revision of the definitive text on art therapy, author and pioneer art therapist Dr. Harriet Wadeson examines the clinical considerations, education, history, and application of art therapy treatment programs for an array of presenting problems. Reflecting current DSM updates since the first edition′s publication, the Second Edition has been completely updated, with nine new chapters on trauma, crisis, multicultural considerations, community art therapy, and more. Illustrated with over 150 works of art from clients as well as the author′s own personal artwork, and packaged with a companion CD–ROM, which includes more than 100 full–color versions of the illustrations in the book, Art Psychotherapy, Second Edition is a comprehensive guide to the theory and practice of art therapy. Written by one of the most established experts in the field, this book will be informative for practicing art therapists, other mental health practitioners looking to incorporate art therapy into their mental health practice, students in these disciplines, and those interested in entering the art therapy profession. Preface to the First Edition (Revised). PART I: Principles and Application. 2 Advantages of Art Therapy. 3 Roots and Application of Art Therapy. 7 Posttraumatic Stress Disorder (PTSD). 8 Adult Survivors of Childhood Sexual Abuse. 13 General Characteristics and Clinical Considerations in Schizophrenia. 14 Phenomenology of Schizophrenia Expressed in Art. 16 Art Expression and Recovery Style in Acute Schizophrenia. 17 Comparison of Art Expression in Schizophrenia, Depression, and Bipolar Psychosis. PART VI: Structuring Art Therapy. 20 Short–Term Hospitalization and Aftercare. 27 Art For Professional Self–Processing.